Kathy Brieger’s heart is in the rich, black dirt of Pine Island, and it shows. A longtime resident of the hamlet, Brieger recently received the Distinguished Service Award from the Pine Island Chamber of Commerce for her ongoing volunteer​ work​ with the Hudson Valley agricultural and migrant community. 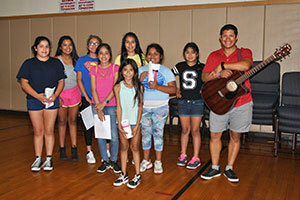 As executive director of the Warwick Area Migrant Committee and the Alamo Farmworker Community Center, Brieger organized a summer enrichment program for the children of local farmworkers. The program was held in the former Pine Island Elementary School building, high on a hill, overlooking the neighboring black dirt farm fields. The six-week program offered a safe, enriching experience for one hundred children ages 6-16, and peace of mind to their farmworker parents. The summer program is a gratifying example of the local community coming together and using existing resources to benefit children. 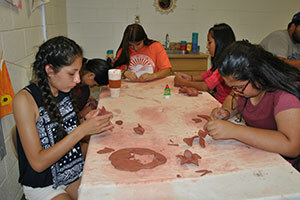 During the program, the building came to life, filled with learning and laughter. 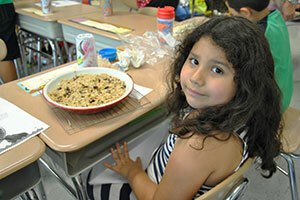 In one classroom, volunteers helped children make healthy snacks. In another, children worked on pottery projects, as one young boy read intently, surrounded by shelves of donated children’s books. 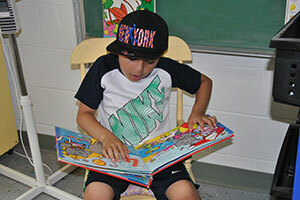 Activities focused on enrichment, with activities such as writer’s workshop, art, music, dance, yoga, reading, meditation and mindfulness, offering the children an opportunity to experience things not usually available to them. Assisted by program Director, Devin Silver and Assistant Director, Sara Laaninen, Brieger supervised ten farmworker teenagers who served as summer interns, working with the children while learning leadership skills. WVHS senior Alex Gutierrez, an intern in the program, was recognized with a Youth Achievement Award by the Pine Island Chamber of Commerce for his community service. During the program, Alex monitored the safety and welfare of the children, and has also volunteered at the Alamo Farmworker Community Center in Florida. 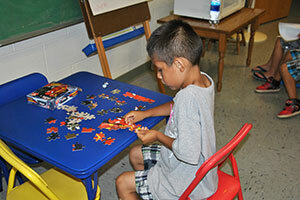 Since all funding for the program was donated, no public funds were needed. 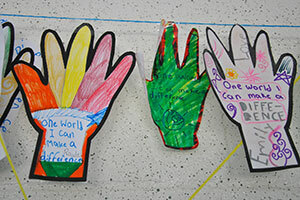 Many community volunteers led indoor and outdoor activities, and several local groups donated their time, effort and materials to support the program. In addition to Warwick, other area school districts that provided assistance included Florida, Goshen, Minisink and Chester.